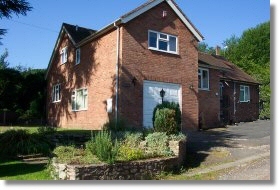 Situated in the small village of Broseley in the heart of beautiful Shropshire we offer the choice of The Coach House, a self catering holiday apartment or Rock Dell bed and breakfast. Whether you are first time visitor to the area or have been here before, our philosophy is quite simple: we are absolutely committed to the highest standards in all aspects of quality, service and cleanliness. Rock Dell is an established bed and breakfact with a reputation for quality and cleanliness. Situated in a semi-rural position with private guest entrance, rear garden and on site parking on the B4373 Ironbridge to Bridgnorth road overlooking the Severn Gorge approximately one mile from the famous Ironbridge. A custom-built luxurious apartment, completed in 2008. The Coach House apartment can sleep up to 4 people (2+2) and has a fully fitted kitchen, bathroom with bath and shower and living area. 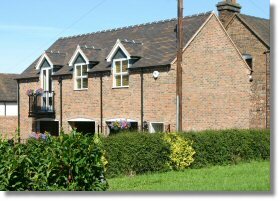 Located within 2 minutes walk into Broseley village centre. Ironbridge is the home the world's first cast iron bridge spanning the River Severn. The bridge, built by Abraham Darby, was opened in 1781. The village of Ironbridge boasts a selection of cafes, restaurants and tradional shops in historic tranquil setting.